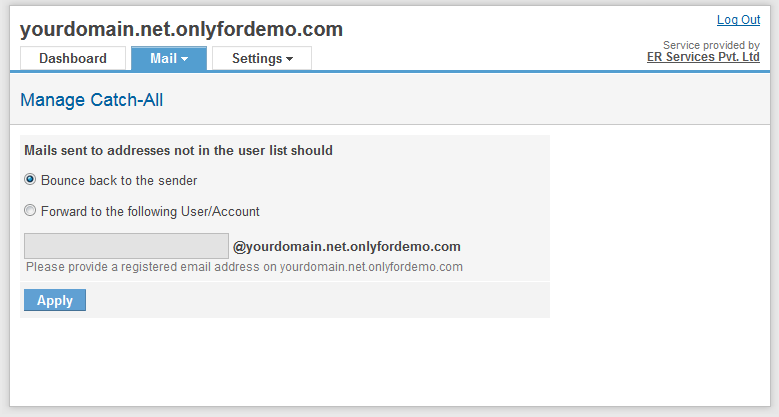 A catchall is an account that receives messages sent to non-existent email addresses at your domain name. For example, if someone sends a mail to mgmt@yourdomainname.com, and the account didn’t actually exist, your catchall would receive this message. A catchall email address can ensure that genuine and possibly important communication intended for you is NEVER missed. 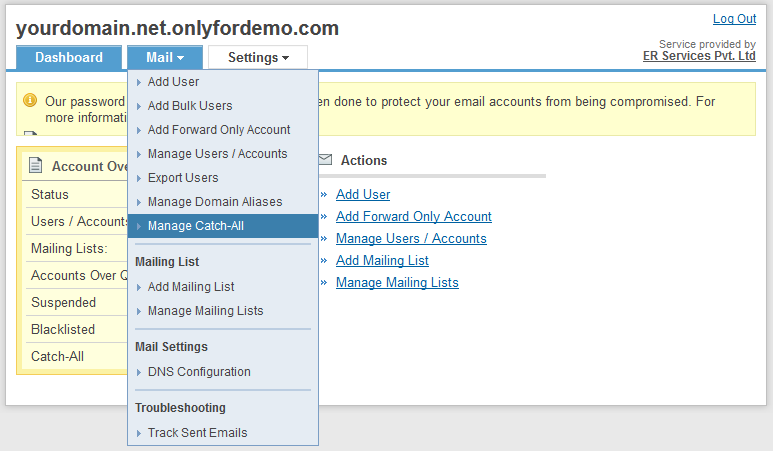 Login to the Admin Email management interface. Go to Mail -> Manage Catch-All. Once you selected the desired option, click the Apply button.